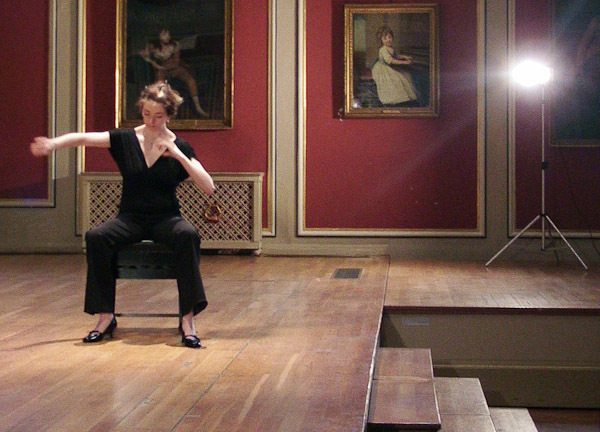 In Concert explores the relationship between memory and the body, focusing on how memory is physically inscribed or embedded in habitual gestures. Music is a poignant example of this, as the rehearsal of a piece does not just result in it being memorised mentally but also corporeally. In Concert shows a cellist and a pianist playing the first movement of Shostakovich’s Cello Concerto No 1 without their instruments. The music operates as a kind of ghostly mnemonic prompting their physically remembered gestures. This work is accompanied by a series of drawings entitled Pentagraphs. 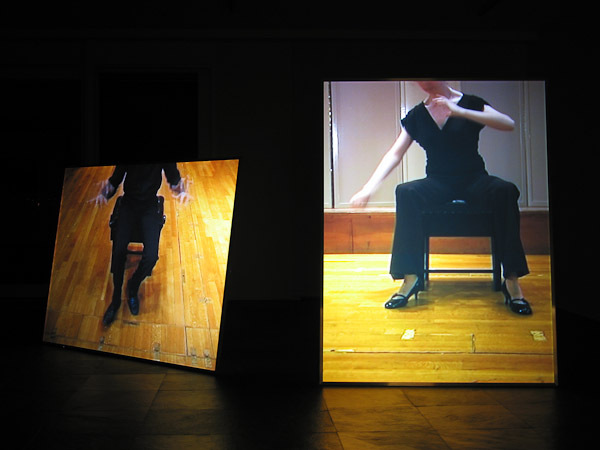 In Concert was first shown in the exhibition State of Mind at the LSE in London (May 2005). It has subsequently been exhibited in ‘Swiss Art Awards’ at ART 37 Basel, in ‘A Shelter in the Time of Storm’, a Lichfield Cathedral and the exhibition ‘Performance’ at Wings Projects Art Space, St. Prex. The drawings in the series Pentagraphs represents the first seventeen bars of the cello part of Shostakovich’s Concerto No. 1 for Cello in E-flat major (op. 107), 1959. It employs a method inspired by an 11th century musical notation/memorization system which was devised by Guido d’Arezzo to conduct. 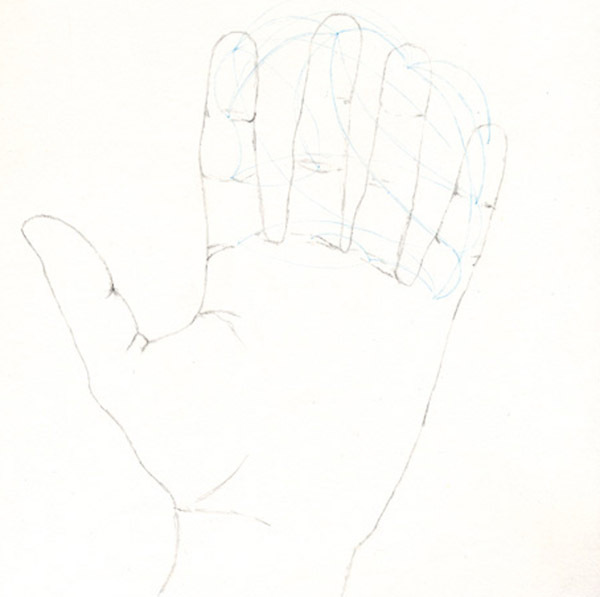 It uses the hand, assigning to each part of every finger a specific note.